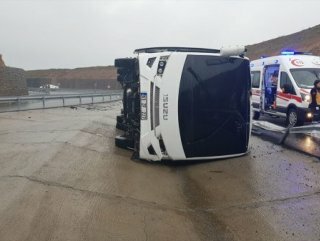 Truck overturns in southeastern Şırnak province, injured soldiers rushed to hospital. 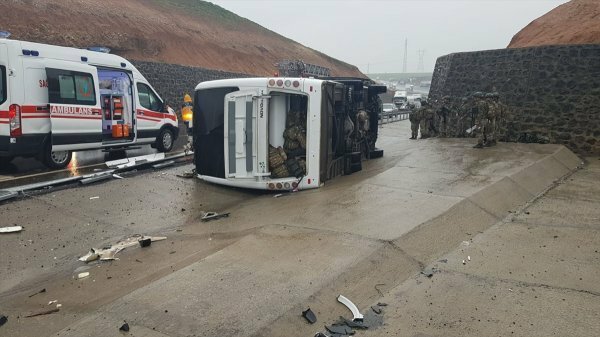 A soldier was martyred on Sunday when a troop transport truck overturned in the southeastern Şırnak province, according to security sources. At least 20 other soldiers were also wounded in the accident in Şırnak's Silopi district, said the sources, who asked not to be named due to restrictions on speaking to the media. The injured soldiers were taken to hospitals in Silopi, the provincial capital Şırnak, and Cizre, the sources added.